CCTV provides breaking news, award-winning in-depth reporting and analysis in English — and from a Chinese perspective — to viewers in the United States, China, and more than 100 countries and regions around the world. Among the daily programs produced in Washington D.C., Biz Asia America covers business trends on every continent, interviews top business leaders, and offers insight like no other channel on the Chinese economy—soon to be the largest in the world. The Heat is a daily talk show that takes an in-depth look at the stories making global headlines. Americas Now is a magazine show that focuses on news from the Western Hemisphere — with special emphasis on reporting from Latin America. CCTV America is the American production and broadcast arm of CCTV News. The broadcast center employs nearly 160 people. 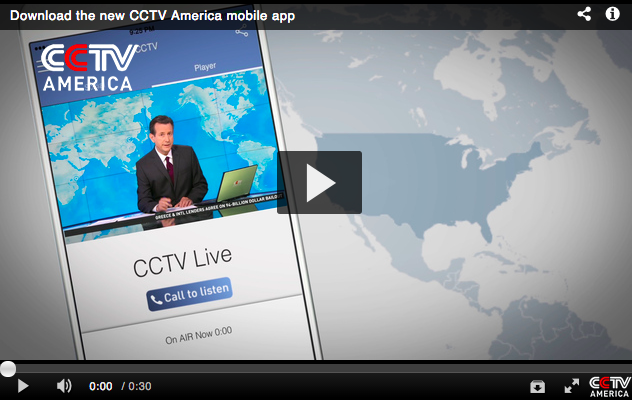 CCTV America focuses on in depth coverage of developments in both North and South America. It fields a dozen correspondents in Central and South America; more than any other English language network. Its talk programming attracts distinguished guests to speak on global issues from the world of politics, business, and entertainment. CCTV America programming launched from Washington on February 6, 2012 and has been steadily expanding. Apps from AudioNow® Digital create an immersive, two-way experience between broadcasters and their listeners. Features include: one-touch call-to-listen (where available); user control of bandwidth size to manage data costs; sharing through social media; and, push notifications.